We have added two new views to Omniscope Mobile: Tag and Tile (2.9b719+). 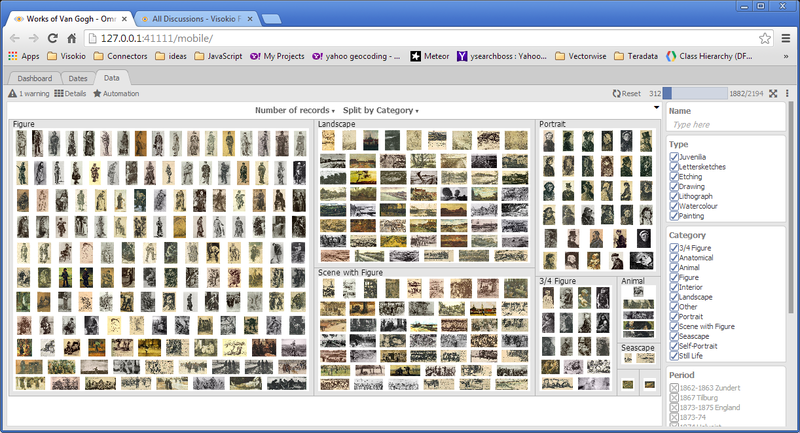 The Mobile tag view replicates the look and feel of the Omniscope desktop equivalent. 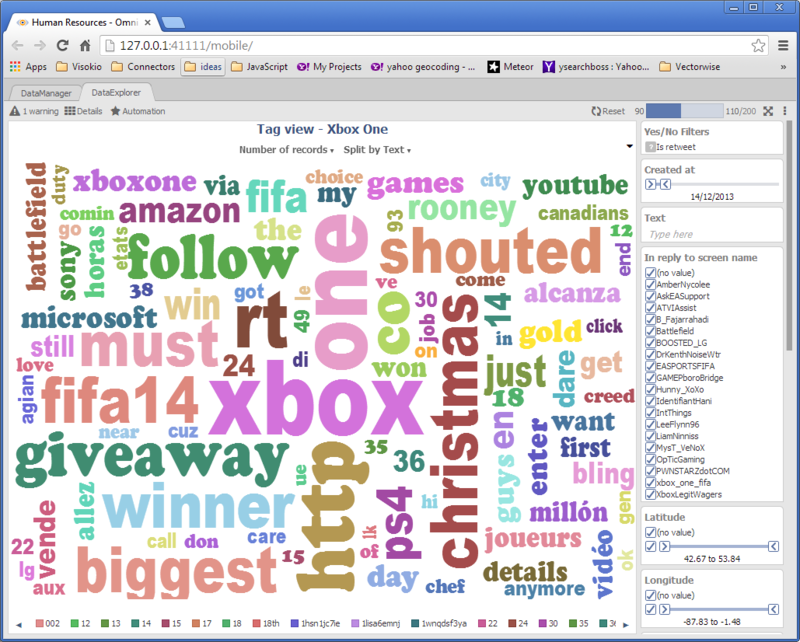 Style options including number of tags, tag size range, tag font, tag orientation and tag margin. The ability to select more than one field. The ability to show images as well as regular tiles. Image options including Grid/Mosaic layout, title, title colour. Multiple group levels. Omniscope Desktop supports only 2 levels, however we have built the mobile tag view to support any number. Please let us know if you have any questions or have any ideas for ways we can improve these views.